After the price comparison for milk powder, I have to look at the other big expense for a baby, which is the diapers. Most parents would have close encounters with poop or urine within the first year. If you have not been through an explosive diarrhea episode, you are lucky! For families who use cloth nappy and wash them, I salute you! You totally deserve the savings because I would rather spend the money than wash all the poop from the nappy every day. Diapers are truly the sanity life savers to working mothers! Manufacturers like to use the same price for different sizes of diapers and just vary the number of diapers in each bag. Do take note that the country of manufacturing may be different in retail and those sold online. Diapers are pretty bulky in nature so some parents, including me, like to buy them online for the convenience. 1) NB and S sizes are not being compared because they are usually used in small quantity. 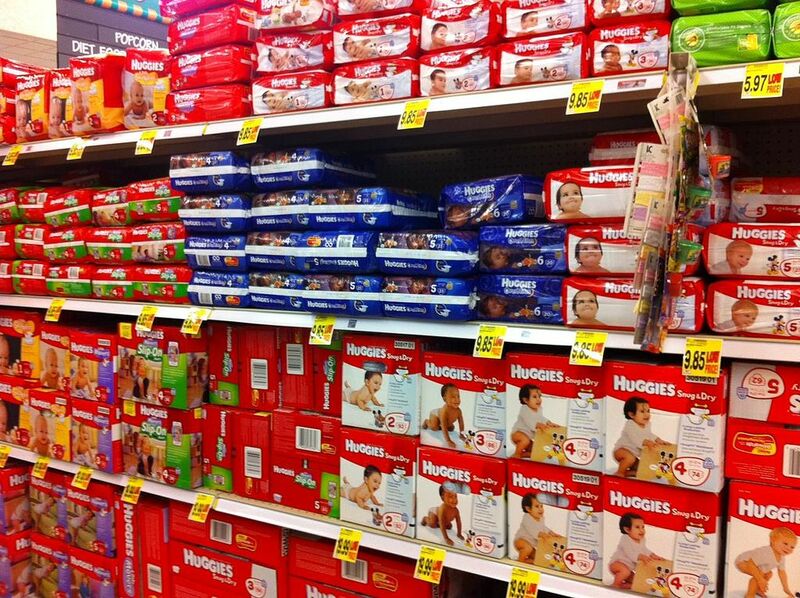 Please do not buy more than 2 packs each because your baby may outgrow them easily. It is estimated that a baby will weigh double the birth weight within 3 months and triple within 1 year old, so do plan accordingly. 2) This is just comparing on price and not on comfort, quality, baby's sensitivity, ease of using and storage capacity. Even different countries of production may have totally different quality for the same brands. 3) The prices are taken from Lazada as on April 2017. I have chosen the cheapest combination possible. 4) If you are cost conscious like me, I will buy the cheapest and if it's not so good, I will change to the second cheapest brand. That is why I did this comparison. I will not know about the quality until I feel it or my baby tries it. 5) I will buy a more expensive brand for the overnight diapers because they are worn for a longer time and requires a higher urine storage capacity. For the day diapers, they are changed within 3 hours so the cheapest usually is good enough. These sizes correspond to the time where your baby will wear the same size of diaper for at least 6 months. 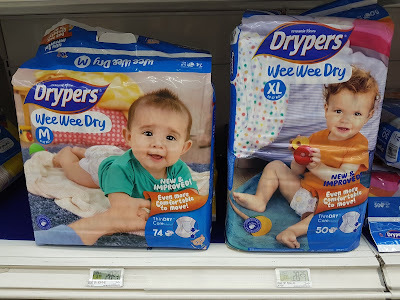 My aim is to compare the prices for each piece of diaper and find the cheapest brand of diapers for each size. Tape diapers are great provided your baby is able to lie down quietly while you change down. It is sometimes super impossible particularly when they started walking or crawling. However, I agree it is still easier to remove the tape diapers compared to pants. Pull up Pants diapers are preferred usually when your baby started walking. Pants diapers are more expensive than tape due to the ease of putting them on. My daughter started walking at 9+ months so pants were very necessary for me early on. I would have to chase her to put diapers on and it would be easier using the pants diapers. The cheapest brand for tape is Dypers Wee Wee Dry. I have been using it for the past 6 months with no problem. However, if you find that it is too rough on your baby's skin or if baby's diarrhea does not get any better, do change it. The next cheaper version is Drypers Touch. 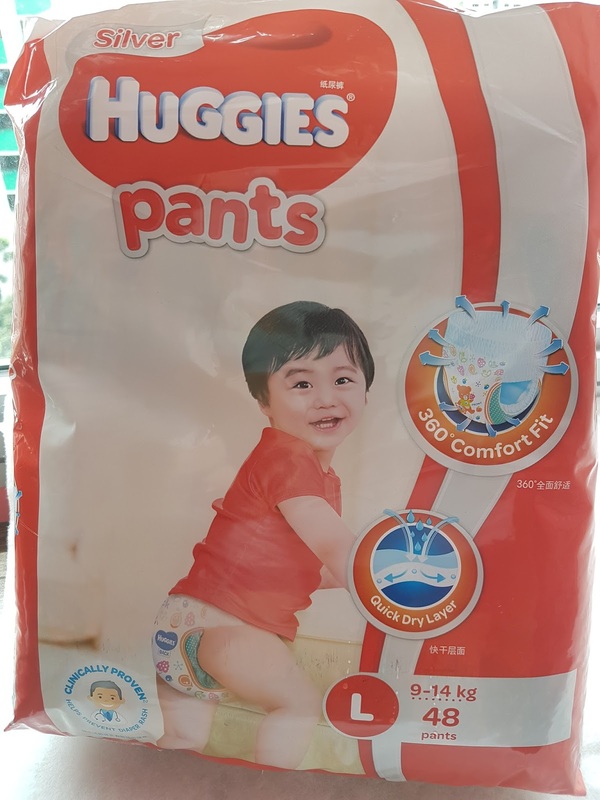 The cheapest brand for pants diapers is Huggies Total Protection. The second cheapest is Mamy Poko Standard diapers. I was pretty shocked to see the most expensive brands could be double the price of the cheapest one. For a 20 cents difference for 1 diaper, in a day it will be at least 20 cents x 6 diapers = $1.20. In 1 year, it will be $1.20 x 365 days = $438. It might not seem like a big amount of money, but together with the amount saved from formula milk and other expenses, it will come up to a huge sum. Do take note that I would never encourage you to sacrifice your baby's preference or comfort level to save money. I won't do that too! I previously bought Goo.n pants and liked it better because it does not feel wet when soaked. However, Goo.n is very expensive and MyCK stores do sell the Thailand version which is around 10 cents cheaper than the Japanese version. I have switched to Mamy Poko Standard Pants after which as I thought it was quite cheap but quality was definitely not as good as Goon. One good thing is my baby is not so fussy or sensitive so I was able to change without worry. Thanks to this comparison, I tried out Huggies Total Protection and liked it better than Mamy Poko Standard. Surprisingly, I find it feels more comfortable even though it's cheaper. This just goes to show how cheap does not necessarily means poor quality! I have since been buying Huggies Total Protection in L size for my baby. Potty training is the only way to reduce costs on diapers! Disclaimer: There are no companies who sponsored this review, I am doing this for my own benefit and thought I could share it with other parents too. Like me on Facebook if you would like to stay updated on other family expenses. This post first appeared on SimplyJesMe.